I scream, you scream, we all scream for green ice cream! This creamy green banana nice cream goes perfectly with crunchy chocolate buckwheat clusters. 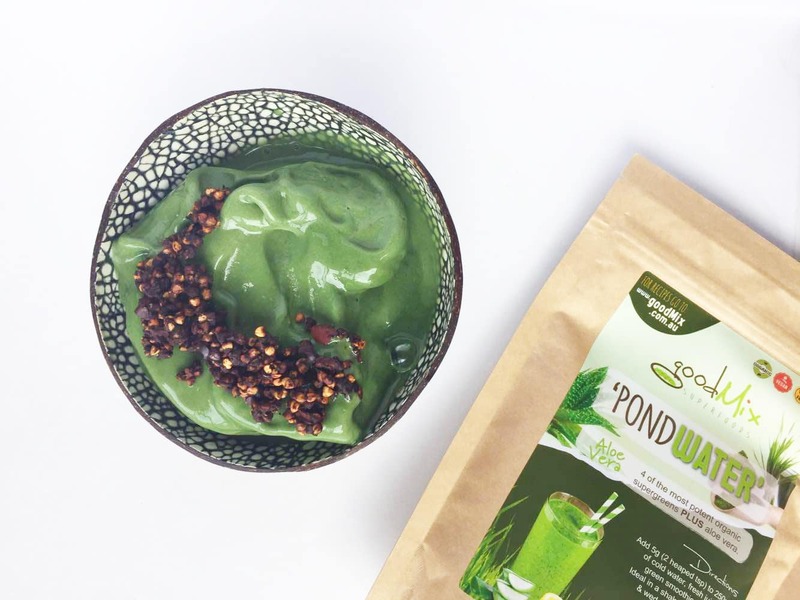 Packed full of superfoods with the added boost of PondWater, our very own SuperGreen’s powder this recipe is sure to be your new favourite treat! This entry was posted in and tagged banana, breakfast, buckwheat, cacao, chocolate, granola, nice cream.